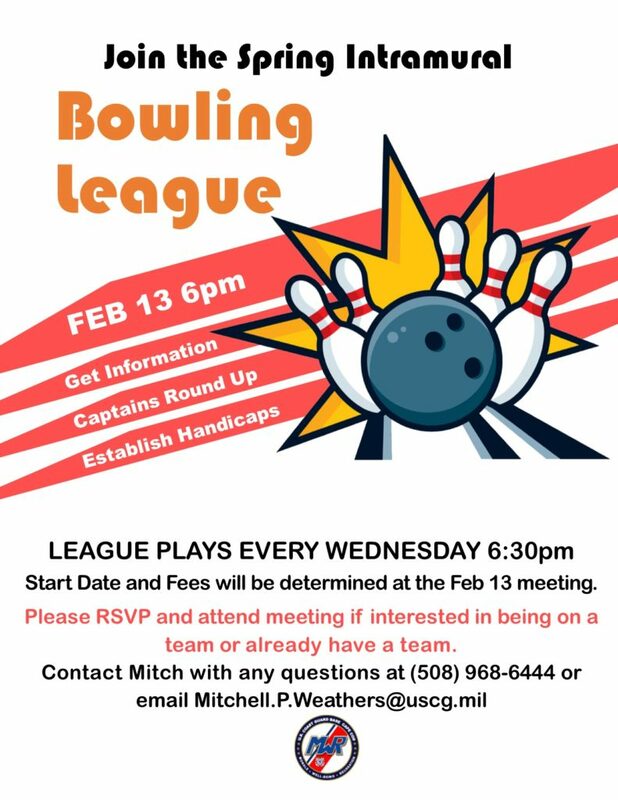 Come to the Info Mtg on Wednesday, Feb 13 at 6pm at the C-Side to learn more about our Bowling League! A Start Date and Fees will be assessed at the meeting. ALL ABILITIES ARE WELCOME! Call Mitch Weathers at 508-968-6444 for more information.